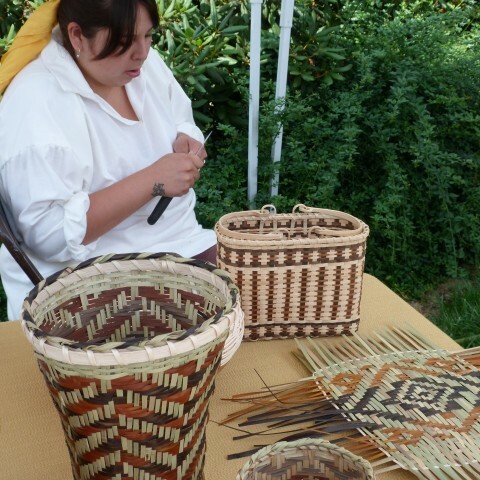 Although I promised to tell you about Tarpon Springs in my next post, I’ve decided to leave that and Atlanta for future posts, and bring you up to where we are this weekend, since it may well be our last interesting stop. The days are counting down to the date that we need to be home, so there won’t be much more time for being tourists. Yesterday, Friday June 8th, we arrived at the Pigeon Forge, Tennessee KOA campgrounds late in the afternoon. The day had been much cooler than the few days before and the drive was pleasant. But when we arrived here we were hit with more heat and humidity and high air pollution. There is lots of traffic in Pigeon Forge these days. After a quick dinner in the RV we hopped on the bike and did a tour of the downtown area. This is my first time here. It’s not at all what I expected! 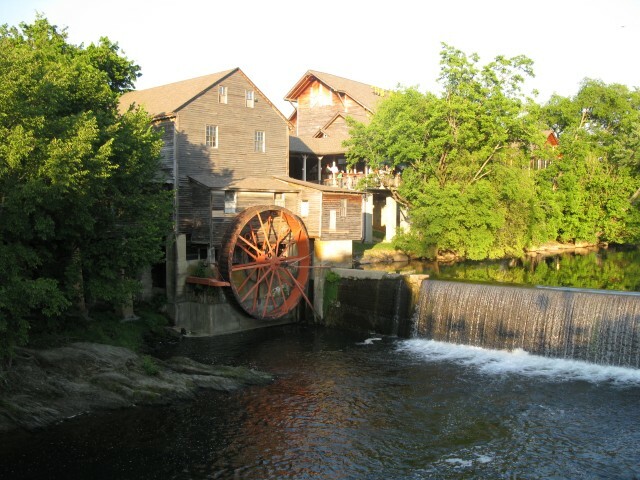 There is an Historic Area where there is a beautiful old flour mill and an old fashioned General Store. 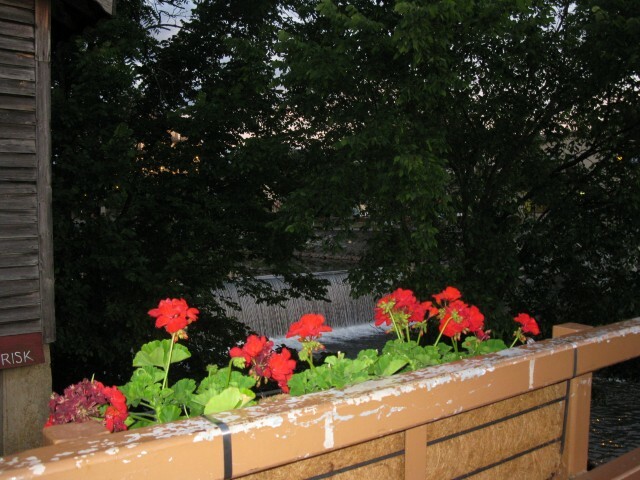 We enjoyed an ice cream cone at the Creamery, and took some beautiful evening photos in this area before returning to the main street. 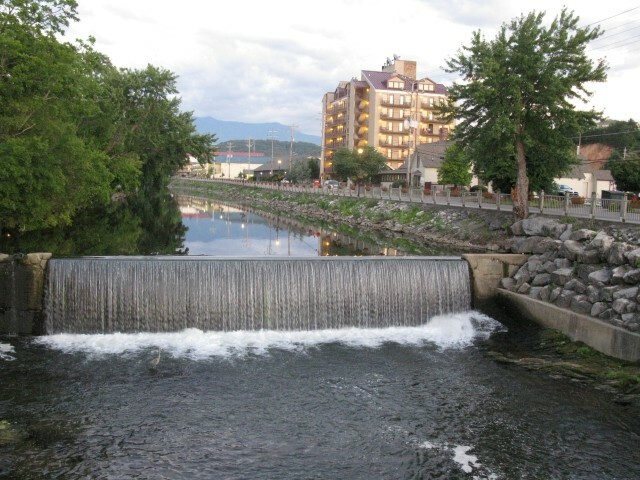 Main Street, Pigeon Forge is a completely different world. If Las Vegas is Tinsel Town, then this has to be Tacky Town. There are no gambling casinos, but there are just as many lights and signs flashing everywhere. It could be a fun place to spend the weekend with kids, or be a kid yourself if you have money to spare. 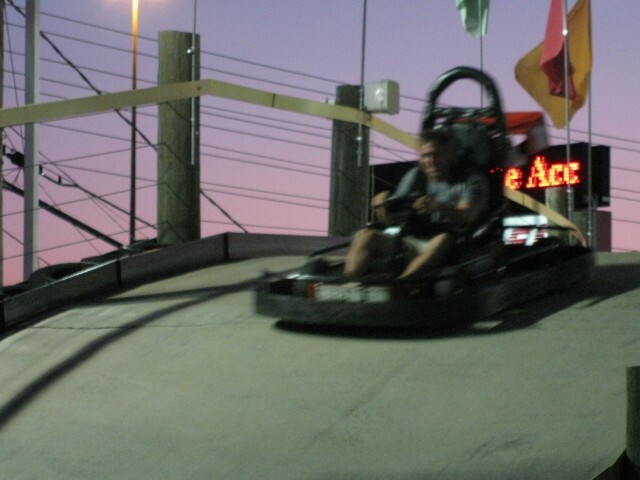 There is no shortage of go-cart tracks or entertainment halls, or flashy hotels. There is an area of carnival rides, and a House of Magic. 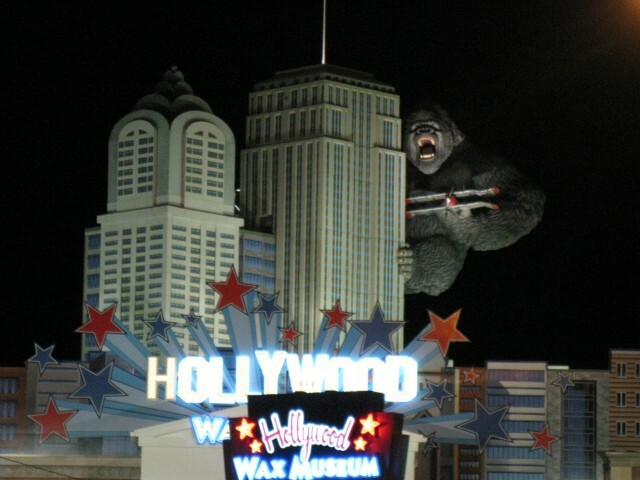 Even King Kong can be seen watching over the strip. 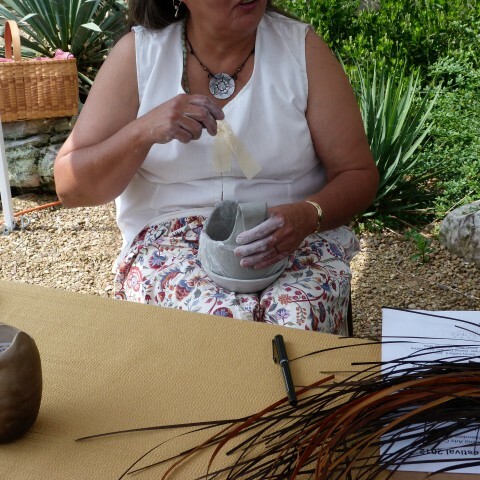 It was an interesting evening, but today, Saturday was much more our kind of day. We were up early and on the bike by nine o’clock, on our way to Deals Gap. The bikers reading this will know what this is all about. 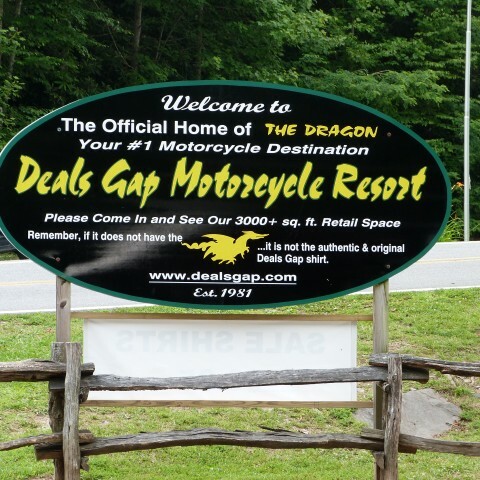 For those who aren’t familiar, Deals Gap is a stretch of road that claims 318 turns in its eleven mile length, a biker’s dream run. People come from all over the USA and Canada, just to do the “Tail of the Dragon”, as it is also dubbed. The air was clear and fresh, as we journeyed along Hwy 441 towards Cherokee. 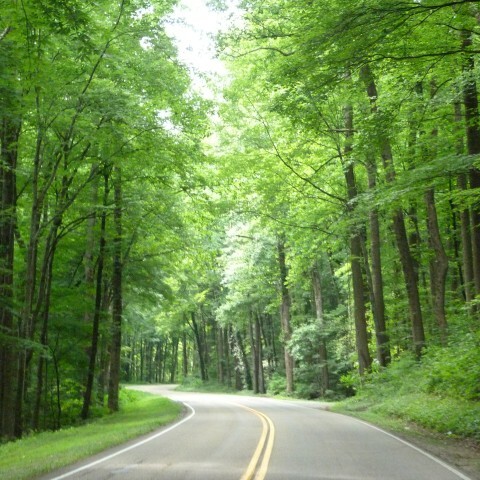 Once out of town the road began to gently twist and turn beneath the tree canopy through Smokey Mountain National Park. It was exhilarating. 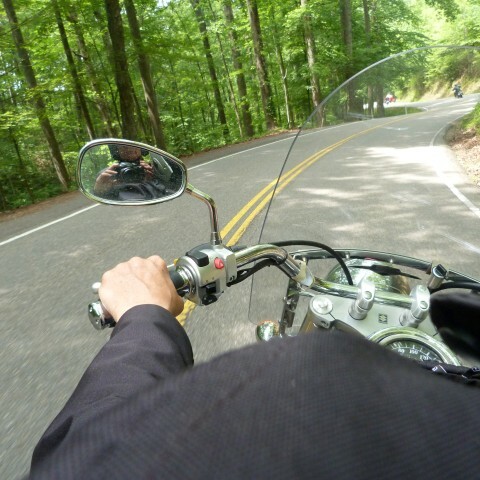 You can’t really experience such a ride from a car or certainly a motor home, the way you can on a motor cycle, the smell of fresh air, the colours, the wind on your face. We made several stops to take pictures of the smokey mountain range and it was nearly lunch time before we reached Cherokee. 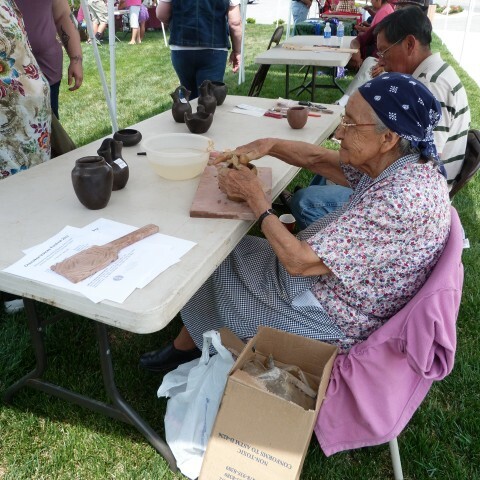 There we took time to stroll through the Cherokee Voices Festival, chatting with various native crafts people who were demonstrating their crafts, before filling up both the bike and our stomachs in preparation for the rest of the journey. 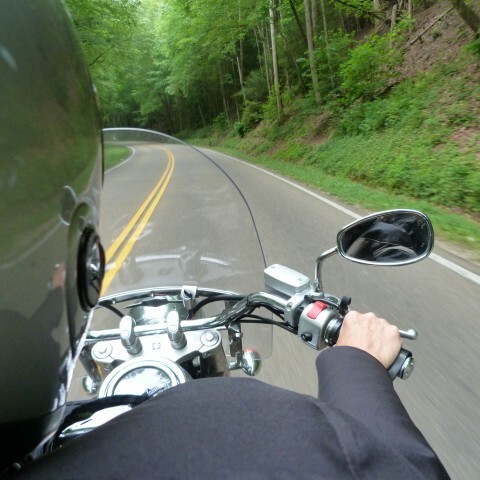 It was still another hour ride before we reached the beginning of our destination — Deals Gap. When we finally reached Deals Gap and the beginning of the Tail of the Dragon run, we found ourselves among many, many bikers. Thankfully today, there were no fools riding, at least not that we know about. 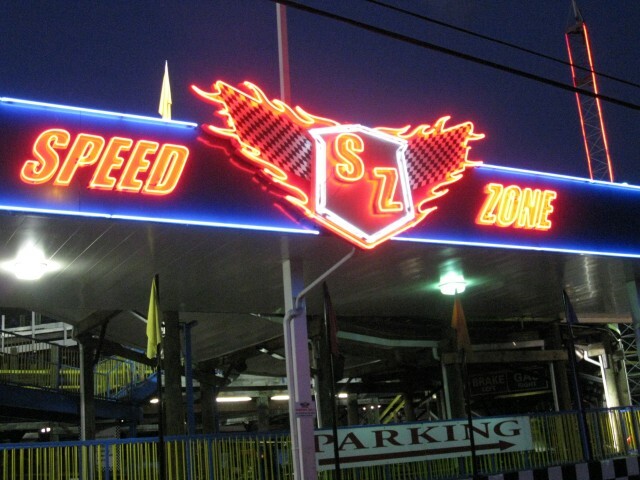 Sadly, there have been many lives lost on this route because of careless riders who want to see how fast they can do it. The curves and road grades require respect. We took our time and enjoyed the ride. Tree of Shame. Foolishness is not encouraged. These bikes didn’t make it. We were exhausted by the time we arrived back at camp at five in the afternoon, but it was an amazing trip. 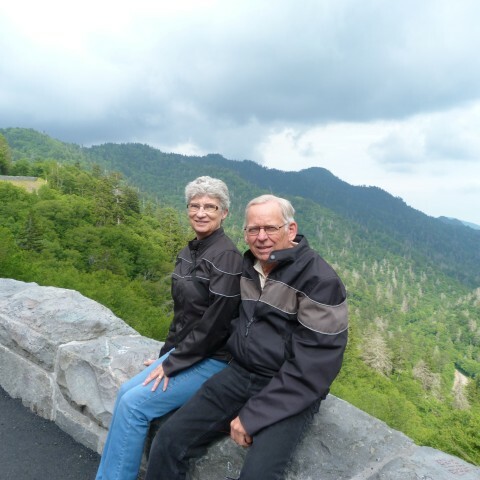 This entry was posted in Motorcycling, RV Travel, Travel and tagged Cherokee, Deal, Deals Gap, Flour Mill, Go-Karts, King Kong, Pigeon Forge, Smokey Mountains, Tail of the Dragon, Tennessee. Bookmark the permalink. Thanks for stopping by. Glad you enjoyed. I think the tree of shame is a great idea. 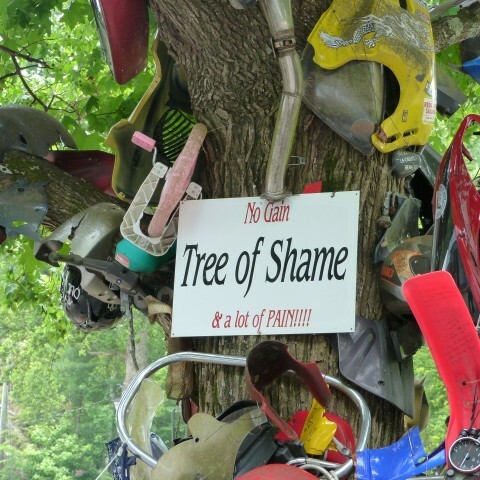 When first time bikers make their way to Deals Gap and get to see this tree and hear the story behind it, they tend to be more careful while riding. I totally agree with you about Pigeon Forge. 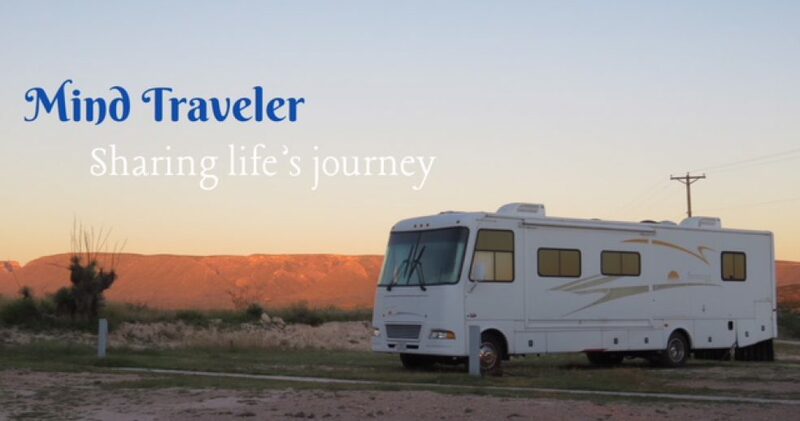 We wound up at a lousy campground when we were in the area three years ago. We either didn’t see the signs for the KOA, or it was full. Had we known how close we were to the national park we would have gone there, but it was late and we were tired, so Pigeon Forge it was. I would definitely go back to the area, because travelling on the roads in the park and away from the cities and towns was lovely. I notice that one of the bikes on the Tree of Shame is actually a toddler’s tricycle! What’s that all about? The trike is just someone’s idea of a joke. I was with you all the way. 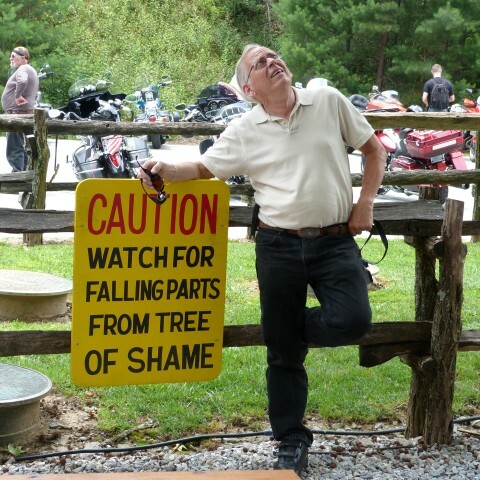 Pictures help tell the tale of the tail of the dragon >) The Tree of Shame in Deals Gap must have numerous stories to tell. Funny that they call it a shame if one does not make it on the Dragons Tail. Helen, I think the shame is in being foolish to cause the crash, i.e. careless/unsafe riding. Fortunately these are bikes that crashed, but the riders survived.